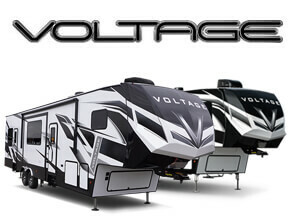 We are rv wholesalers of Voltage toy hauler brands including Voltage, Triton by Voltage, & Voltage Epic Series. 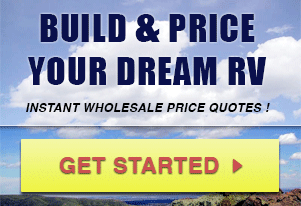 Request an instant wholesale price quote via email today. Our sales are throughout the US and Canada. Delivery to your door is also available. We are a full line rv dealer of 5th wheel camper style Voltage Toy Haulers by Dutchmen RV with many available in stock now. Request your lowest wholesale price today.